Original Sin and Death of Wolverine leave the boys with plenty to say about the state of the Marvel Universe. Plus a slew of Future's End issues this week, and comics from Image, Dynamite, and BOOM! 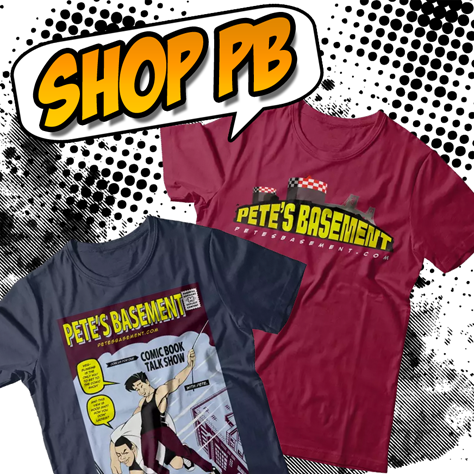 Studios, like Cloaks, Ex-Con, and God Hates Astronauts and you've got a recipe for a great roundtable episode with the original cast of Pete's Basement! Wait did somebody say recipe? Holy Hell, man! Be more careful around that many fat guys! Just download the episode already! We announce the winner of our New York Comic Con 3-Day Pass Giveaway Contest! If you don't win, don't feel bad-- try again! We start giveaway part 2 today! Steve's back and he can't wait to talk about Groo vs. Conan, and Goon. Also this week we've got some new debuts from Image and Dark Horse: Wayward, Pop, and Sundowners. Plus a jaw-dropping Batman Eternal.